While the parents' advice is good, it could be better. Spending half your money sounds a little high. Most books suggest money be used for saving, spending, and donating to a good cause. Getting a job is fine too, but teens shouldn't get into the habit of working solely for money. They could end up trapped in an unsatisfying career. According to Rich Dad's Escape from the Rat Race (or How to Become a Rich Kid by Following Rich Dad's Advice) by Robert T. Kiyosaki, wanting to become rich is not enough. Nor is simply getting a job. You may find yourselves caught in the "rat race" (always working to stay ahead of your debts). Instead, you should look for opportunities to purchase assets. In other words, start your own business. Written in comic book format, this book tells kids to find opportunities to make money so that they'll never have to work. These opportunities, Kiyosaki says, are all in their heads. Commendable, but a little simplistic. Some kids may need a bit more guidance. For more books about finance and entrpreneurship, go to www.icanbeanything.ca. Look for Entrepreneur under Book Selections. Also read Raising Financially Fit Kids (an excellent book reviewed previously in this blog). lack of page numbers: I found it difficult to skim through an ebook due to the absence of page numbers and chapter headings, especially if a book did not have a table of contents. With no table of contents, you have only three choices to go to: the cover, the beginning, or the location. location search: I'm guessing that ebooks count the number of words in a story, so if you want to go to a specific page, you have to enter a word's location (i.e. its place number). This is fine if you've made an annotation, but if you're not in the habit of doing so, flipping through an ebook can be a dizzying experience. picture size: The pictures in ebooks are smaller than the print versions, which is very disappointing. You end up missing a lot of detail, especially difficult if you're trying to decipher a map. In Three Rivers Rising, I wanted to make the map bigger, but wasn't able to do so. Publishers shouldn't simply scan a book and call it an ebook. There has to be a bit more to it. I'm used to page numbers and a table of contents. Even if there's no table of contents, listing chapt.1, chapt.2, etc. would be helpful. And I want to be able to resize pictures. For a good example of an interactive ebook, look at Al Gore's Our Choice by Push Pop Press. As for the different devices, I have an iPad on which I've downloaded iBooks, the kobo app, and the kindle app. iBooks is useless; the bookshelves look nice, but their book choices are terrible. I like the page transition styles of kobo (pages curl like a real book), but I don't like their Reading Life section, which seemingly tries to turn reading into a competition. It contains stats and awards, which is not something that interests me. I prefer kindle, since amazon still has the best prices. Celestia is spending her summer at an elite resort in Lake Conemaugh, Pennsylvania. She falls in love with Peter, the hotel's hired boy. It is a forbidden romance that could get Celestia disowned. Maura's husband works as a train engineer and Kate is going to nursing school. These three women's lives will become intertwined during the devastating Johnstown Flood of 1889. Caused by the failure of the South Fork Dam, this is a tragedy that could have been prevented if not for the arrogance of the dam's owners. However, this novel is not about blame, but about the lives of those affected by the flood. Told in free verse, it is a romantic and affecting tale, with a remarkably happy ending for all the main characters. 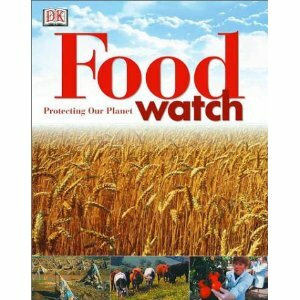 For those readers who want a more serious and closer look at the tragedy, a list of further books are included. New Penderwick and Casson books! My two favourite fictional families have returned with new adventures! The Penderwicks split up in Jeanne Birdsall's latest installment, with Mr. Penderwick off on his honeymoon with Iantha and Ben, and Rosalind spending two weeks with her best friend Anna in New Jersey. That leaves the others to spend the summer with their Aunt Claire at Point Mouette. Skye is now the OAP, and she's not too happy about it. It comes with a lot of responsibility. But fortunately, Jeffrey is there to help her out. They have quite a vacation! New friends are made, Jane falls in love, and Batty discovers her creative genius. 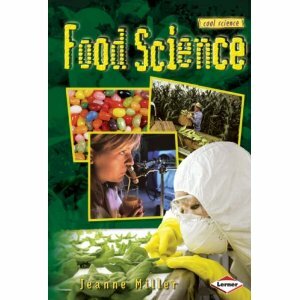 Birdsall has once again written a totally wonderful book. If you haven't met the Penderwicks yet, what are you waiting for? Also get The Penderwicks on Gardam Street and The Penderwicks: A Summer Tale of Four Sisters, Two Rabbits, and a Very Interesting Boy. You'll love them! 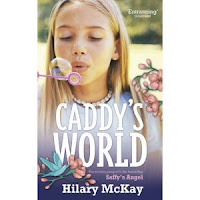 Caddy's World by Hilary McKay. Caddy is in grade one when she meets her best friends: Alison, who hates everyone, Ruby, who is smart, and Beth, who is perfect. But the story really begins when they are all twelve and dealing with all kinds of stuff. Alison is bored and starts flouting school rules, Ruby is pretending not to be smart so she won't be sent to a posh school, and Beth wants to stop growing. As for Caddy, her mum (Eve) has just given birth to Rose, who isn't being quite so permanent. Bill (the father) tries to keep things together, but he's hilariously ill-equipped to deal with rambunctious Indigo and Saffron. It's up to Caddy, the bravest of the brave, to keep it all together. Hilary McKay has written another wonderful book, full of chaos and love as always. 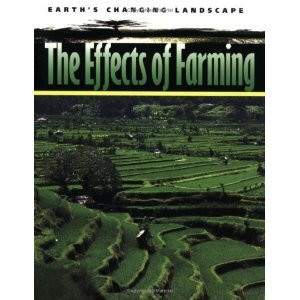 Check out these books if you want to be a farmer! Esperanza Ortega's life is irrevocably altered after her father's sudden death and a fire that destroys the family ranch in Aguascalientes, Mexico. Esperanza and her mother flee to California, where they find employment at a farm labour camp. There they must endure hard work, economic difficulties, illness, and prejudice, as well as conflict among their own people. Set during the Great Depression, it is also a time of strikes, unions, forced deportations (even of U.S. citizens), and workers' rights. Esperanza must also comes to term with the privileged past she left behind in order to embrace her future. Also visit Anita Silvey's Book-A-Day Almanac for a detailed review of Esperanza Rising. A fictional account of the life of Charlotte Parkhurst, who as Charley Parkhurst, became a stagecoach driver and the first woman to vote in California in 1868. Charlotte grew up in a New Hampshire orphanage before running away to Worcester, Massachusetts, where she worked as a stable boy. Good with horses, she became an expert driver even after losing the sight of one eye. This fast-paced historical novel portrays Charlotte as a determined girl who knew her own mind and wasn't afraid to pursue her dream (of owning her own ranch). A very satisfying read that sheds light on the little-known perils of stagecoach driving, seen when Charlotte has to drive a coach over a collapsing bridge (she ensured the safety of the passengers first). Alex Gray wakes up in another person's body. Suddenly, he's in a different time, a different city, and a different home. 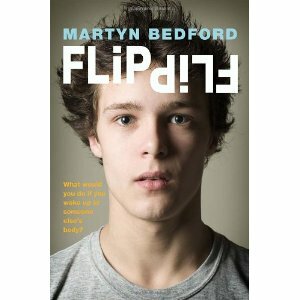 Everyone thinks he's Philip "Flip" Garamond. It seems that Alex and Flip have switched bodies in a case of psyche evacuation brought on by a near-death experience (Alex's body is in the hospital, where it lies in a coma from a hit-and-run). On the Internet, Alex finds a psyche evacuation support group. Rob, one of its members, encourages Alex to enjoy his newfound freedom, especially since Flip is everything Alex is not: popular, athletic, and attractive. But Alex finds it too difficult to pretend to be someone he is not. He desperately tries to reenter his body (and restore Flip's to his) before his grieving family decides to pull the plug. A very slow-moving story at first (the author does more telling than showing), but it gets better near the end. It would have been more interesting if we knew what Flip was experiencing as well. Alex has nightmares triggered by Flip's attempts to escape, but the two minds do not meet. However, the novel raises intriguing questions about what constitutes self, identity, consciousness, and uniqueness, as well as the difficulty with truth, lies, life, and death. Cute and charming, this app can be played over and over again without being annoying. Boynton's characteristically adorable animals are aboard a gently rocking ark, preparing to go to sleep. They take baths, put on pajamas, brush their teeth, exercise, and go to bed. Fun interactive elements include turning on taps, popping soap bubbles, opening drawers (send tops and bottoms flying), cleaning fogged up mirrors (the iPad's screen), and filling the night sky with stars. A simple concept makes for a really cute and funny book. Make a cow moo, sheep baa, or pigs sing la la la. There are also rhinoceroses, horses, dogs, and cats. I especially liked the duck at the end, who makes all the noises (and even yodels)! The absolute best apps I enjoyed are the ones starring Marie-Louise Gay's Stella and Sam. What I liked most about them was the placement of the games and puzzles, which flow perfectly with the story. Each replay is different as well, with enough variety to keep kids entertained. Stella and Sam look for their toboggan. Along the way, you can solve a stick puzzle, decorate a snowman, and look for items under the snow. It's raining, but Stella always finds something fun to do. 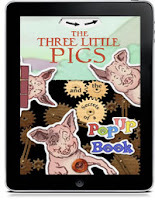 Help Sam's dog paint a picture, search for things under the leaves, or race pine cones. For more titles, go to http://stellaandsamapps.com/. I recently got an iPad, and I can't stop playing with it! It's definitely a fun toy. 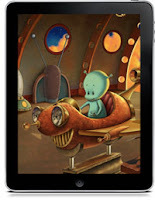 I eagerly downloaded a handful of children-friendly apps that were recommended on various sites such as Best Ebook Apps, Children's Technology Review, and Kirkus Reviews. Some of them were good, some of them weren't so good, and a few were annoying. The following are the ones I didn't like. The good ones will be mentioned in my next post. 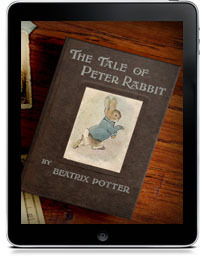 I loved the print version of Beatrix Potter's classic, and this app has received lots of positive reviews, so I was especially interested in buying it. 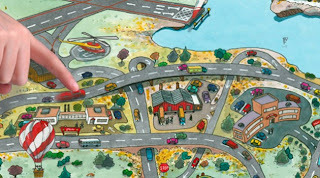 The illustrations are layered, and have a depth to them, which gives them a three-dimensional look. If you run your fingers over them, you can hear various sound effects like chirping birds and rustling leaves. But I found the giggling rabbits to be a little annoying. Peter also giggles, which isn't something I expected of him. He's not like his siblings, so he shouldn't sound like them. There are also pull tabs, animation, background music, and narration. Both the music and narration can be turned off, which is a relief, because they get a little distracting. And that's the problem. It's easy to forget about the words while playing with the pictures, and the story's pacing doesn't flow as well as it does in print. This app will probably drive parents crazy. Lots of different things happen, depending on what you tap on first. With sound effects from slow or fast robot voices, neon sign fizzles, explosions, squirts, rings, music, and games, some kids may replay it over and over again. Others will quickly tire of it as I did. There's also a dog, heralded by an annoying fanfare, that keeps popping up for no reason. The help section says future updates may alter or add interactions, but maybe they forgot about this one. As for the rhyming story, it's actually pretty stupid. Cozmo hurries to work, only to find that it's the weekend. The end. Even with all the activity, it's a little short on substance. This app is very interesting at first. You can tap on a pair of eyeglasses to get an x-ray view of the hidden springs, levers and pulleys that cause the movements on the screen. By tilting the iPad, you can even get things to sway and "bump" against the edge, which makes a satisfying thump. I liked L. Leslie Brooke's illustrations, which provide an old-fashioned feel, as well as the page covered with buttons, which make doorbell and knocking sounds. His story is also good, but the layout is faulty. Some pages don't have any words, and by the time you've finished playing, you've forgotten the story's thread. Most likely, the story will be ignored altogether. And there's only so many times you can look at the pictures before the novelty wears off. You'd get a bigger "wow" with an actual pop-up book. I still haven't mastered this maze yet. I keep getting trapped on the same roads, ending up at dead-ends. It's very frustrating! Basically, you put your finger on a car and send it down the highway collecting star points as you go. You're supposed to be able to travel by raft and hot-air balloon as well, but I don't know how. This is one app that should really have a help page. I wish that the music could be turned off as well.